LLOYD MANGRAM takes a brief and personal glance over his shoulder at some of the software antics of the past year. 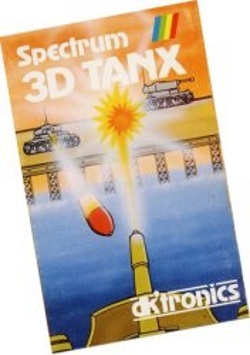 1983 was an astoundingly good year for the ZX Spectrum. We are told that there are now well over half a million units in our homes, and that figure must have taken a leap upwards before your Christmas turkey got carved. Success for the Spectrum has had a lot to do with its price, but a computer is only as good as its software, and the Spectrum has been well served throughout 1983. The start of a new year is traditionally a time to take stock, so let’s take a brief look back. Barely established on the market this time last year there were only a handful of companies producing software for Sir Clive’s new colour Spectrum, among them, of course, Sinclair itself. It is quite astonishing to see just now many software producers have appeared during the last ten months to tempt us with games for the Spectrum. Looking through my December 1981 copy of Computer & Video Games (yes, they were going back then) I noted that a company in Liverpool were offering a Star Trek game for the ZX81 — they were called BugByte. 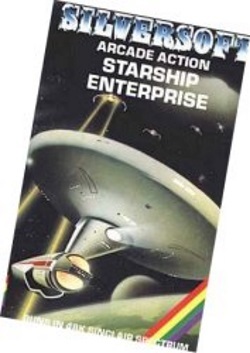 Silversoft were in the same issue with another ZX81 game of, oddly enough, Star Trek. I also spotted a small ad in the classified section for Volcanic Dungeon (make cheques payable to R Carnell), but of the big names with whom we have recently become so familiar, there was no sign, and the mag was filled with details of Atari, Intelevision and arcade news. 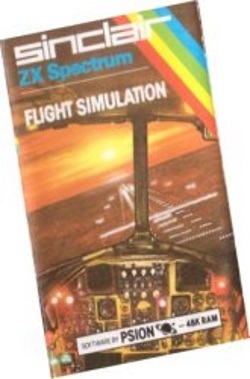 By April 82 Silversoft are indulging in much bigger ads with more ZX81 games available, and other names have appeared. The end of the month will see the third ZX Microfair in London and the new companies are taking advantage, dk’tronics, Kayde, a new outfit calling themselves Micro Gen Quality Products, Bug-Byte have double page ads, C-Tech has a full page, and a lorry profile bearing the letters RTIC announces the arrival of Artic on the scene. Other names in the issue which have since become familiar are Abacus, (for the Acorn Atom though), Macronics, Hewson Consultants, Addictive Games with a programme called Football Manager (which goes to show how long a game can last!) and last but most interestingly, a small ad from a company claiming to have the ‘finest machine code fast moving graphics arcade games available’ — Quicksilva. A year later and it’s April 83. The Spectrum is well on its way to becoming the top selling personal computer and the amazing software revolution is just beginning. Opening my April issue of C&VG I first notice a blasting full page ad for Hobbit and Penetrator from Melbourne House, two games that have steadily remained in the top selling charts for all year. A spokesperson for Melbourne told me at the Personal Computer World Show that they were hoping the Hobbit would die off soon, but it shows no sign of doing so. (I’m sure they’re pleased really). A quick flip through the issue reveals a few names who at the time were not doing any Spectrum games, like Anirog and Rabbit, but Softek has appeared and Bug-Byte are now in full glowing colour advertising Spectres, dk’tronics already have 3D Tanx out and the bully from Ritimba is Dictator, Romik have a full page, New Generation, R&R and Micromania are visible, M C Lothlorien is wargaming, Martech is buzzing, and an exciting new company has splashed out on no less than five colour pages to inform us that THE INVASION HAS BEGUN! At the time they coined the phrase Imagine probably had little idea of just how right they were. So much seems to have happened between then and now that you could be forgiven for thinking that April was really years ago. Standing in the crowded aisles of the PCW show at the Barbican in September I had to marvel at the progress Spectrum software had made, at the quantity and the quality of the games available. It is difficult to pick out highlights from the year, and inevitably unfair on those who get left out, but at the risk of being shouted down I’ll have a go. Certainly the early high spot was the success of Hobbit and Penetrator. Hobbit was described by one critic at the time as ‘a game by which future games will be judged’, and it sets the scene for so many Go-West-Young-Man adventures which were to follow shortly. Penetrator is still reckoned by many to be the finest Scramble game of the lot although comparing its graphics to present day standards, it looks pretty primitive. At the time, however, I remember thinking that if you could do this at home then the arcades must be dead. Both these programs stood out at the time against the flurry of activity that took place in the invading galaxian asteroid belt. Almost every one of the newly emerging companies has had a go at these favourite arcade games, many programs being uprated versions of earlier ZX81 games. 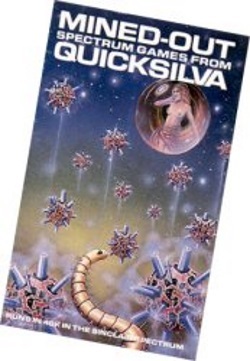 Imagine’s Arcadia comes instantly to mind as one of the better galaxian style games, Quicksilva’s Space Intruders is also worth a mention, Softek’s Firebirds was one of the better Phoenix types, and I always had a sneaky liking for Mikrogen’s quaint Space Zombies with its colourful trainload of aliens buzzing erratically around the sky. No one seems to have done all too well with asteroidal games however (though they probably sold like hot rocks). All the versions suffer from poor graphics, uninteresting colours and miscalculated attack speeds. Of the type my vote goes to Abacus with Sentinel, a game with enough complexity to make it exciting to play and watch. Despite this concentration on the obvious, Spring resulted in a number of original games which indicated a serious attitude to the abilities of the Spectrum. Quicksilva’s Timegate by John Hollis gave a new lease of life to the Star Trek theme and introduced us to the highly realistic moving star backgrounds. From the same company Ian Andrew’s Mined-Out deserves a special mention for its nailbiting qualities and the fact that it gave Quicksilva’s copywriters the opportunity to come up with the most ludicrously obscure blurb ever written, for a game. (Something they’ve hardly looked back on either). At the same time Imagine were busy introducing us to Schizoids which relieved us of the responsibility of zapping aliens and allowed us to bulldoze them to death instead. The game was well received by critics, but I found it unplayable. They were to make up for that shortly by bringing out Molar Maul and Ah Diddums, certainly two among the most original games to emerge this year. Leaving the asteroid belt behind and returning to earth — well almost — Psion’s Flight Simulation proved that computer games didn’t have to be all zap and Hewson’s Nightflite provided a creditable alternative for 16K users as well. Of course, as spring turned to summer you could have turned the nose of your aircraft round to buzz the Empire State Building, where another favourite was turning his back on the Vics, Orics and Beebs of this world to haunt Spectrum owners. Kong games may have been a rave in the arcades but some early Spectrum versions turned out less than wonderful. Blaby’s Killer Kong and Ocean’s Kong were among the best, but the Blaby version has the most exciting sound. Away from the heady heights of New York, Slippery Sid from Silversoft and Bozy Boa from CDS were slithering around an English Country Garden eating frogs and snails and avoiding toads and flowers, whilst their nastier cousins, the centipedes, were attacking mankind in alarming quantities. Just about everyone had a supermegasprectripede on the rampage, and I don’t think we’ve seen the last of them yet. Among the better versions were Rabbit’s recent Centropods and Silversoft’s much older Cyber Rats (okay, so a rat ain’t a centipede, but what’s a few hundred legs between friends?). Softek, C-Tech, Hewson, dk’tronics, Ocean, Macronics, CDS, R&R and Protek to name a few, all released centipedal monsters upon us during the year. Such a host of creepie-crawlies doubtless explains why the frog population also increased drastically. My favourite was DJL’s version, Froggy, with its cute graphics and abominably smug frogs (those that didn’t get smudged, that is). Oddest frogger of the year award goes to Virgin Games for their disappointing Yomp, which swapped Paras for hoppers and then mined-them-out once they were across the road. Leaping neatly from frogspawn to dots, the dreaded pacmania showed little signs of dying out during the year. I must say that I find it difficult to distinguish between the numerous versions, all of which have the usual features and work pretty much as well as another. Perhaps the silliest was Lasersound’s Egg Farm with its easily outwitted hens. If clearing the screen is the object of ghost-gobbling games, covering it with colour is the aim of painters. There were quite a few of those suddenly sprang up mid-year, somewhat more variable in quality than their pacman cousins. CDS promised a 3D Painter that turned out very one-dimensional, Romik gave us the most complicated and interesting with Colour Clash. A&F came out with the most classic, simply called Painter, but my best for all round goes to Blaby and their High Rise Harry. Quicksilva/Salamander’s Traxx, just released, is also an interesting and frustrating variation on the theme. Of the host of maze and maze-oriented games it is hard to pick out any for special mention. I liked Maze Death Race by PSS, Sunshine Book’s Androids, Abersoft’s Wizard’s Warriors, and for its delightful graphics combined with hyper-panic quality, New Generation’s Escape. The monsters in this last could easily have been designed by Walt Disney himself. Most frustrating in the worst sense was ETX by Abbex, though nice to hear him talking. On the adventure scene, I have to confess that I tend to lose patience with the interminable waiting for responses so I’m inclined to prefer programs that are good in this respect. One which wasn’t so quick but still won me over was Mikrogen’s Mad Martha, almost a verbal maze game and perhaps the most original of the lot this year. I have heard some players complaining about the arcade inserts which prevent you from getting on with the game proper, so they may not have liked Rushton’s quirky Spectrum Safari with its university-educated wildlife and greedy natives, but I did. Apart from the Hobbit, I liked Derek Brewster’s Velnor’s Lair, now marketed by Quicksilva, because of its sense of humour. Quicksilva can also boast the fastest response times yet in Smuggler’s Cove, but the game suffers from being ridiculously hard to get through. Arcaventures made an appearance too. Quicksilva’s Xadom and Phipps Associate’s Black Planet deserve a mention, but Crystal’s Halls Of The Things was one of the most difficult, and their do-it-yourself adventure game Dungeon Master proved too daunting for me though I’m sure it’s triff really. On a more strategical note we saw CCS with Dallas and Corn Cropper games with perhaps a little too much of the random to really imitate life. Dictator from dk’tronics did well, and of course the ubiquitous Richard Shepherd gave us Transylvanian Tower, Everest Ascent and now Devils of the Deep and Invincible Island. I’m afraid I found Superspy a little tediously mysterious. Lothlorien’s wargames came on strongly after a weak start with rather paltry updates of ZX81 games, but the later Johnny Reb and Redweed certainly gave value for money. Coping with airliners that had grown tired of flying seemed popular too. Following on from Psion’s Flight Simulation, the Scottish company Protek gave us Airliner, where we landed a BAC 1-11 at Edinburgh — at least that was the idea, but perhaps my talents were more intended for the ground, so I followed Hewson’s advice and gave up flying for Heathrow, Air Traffic Control, an amazing program that packed everything in to 16K. Protek too, abandon the air in their newest venture, as you take to your periscope in Hunter Killer, a submarine game which could well be the first ever two-handed Spectrum game on the market. Sports simulation programs have proliferated and even been rewarding. Addictive’s long-lived Football Manager with its edited ‘game highlights’ and strategy overtones is a definite winner. Watson has updated his Star Soccer, CRL gave us Test Match and Derby Day, but probably the oddest game was Championship Darts from Shadow, actually an effective little program, but darts is one of those games that needs the effort of the throw to work. Sitting at home behind your Spectrum keyboard doesn’t seem right. It’s funny how companies producing software all seem to get the same idea at the same time, and CDS is challenging BugByte’s market leadership with Pool, while a brand new company called Abrasco also brought out a version in time for the PCW show. In fact I think all three are better than the pub/arcade versions, but the baize could do with mowing as the balls stop so suddenly. Beyond the obvious, we’ve been presented with some very original games, but no company has made such an auspicious start as Ultimate who put the Zouch into Ashby and Zest into the Spectrum with Jetpac, Pssst, Cookie and Tranz Am, four excellent and playable games that astonished everyone by how much they managed to pack into 16K. Ultimate are set for the battle to be the best, but their work is cut out. The latter part of the year has seen all the old favourites reasserting their position. Bug-Byte, well ahead at the beginning of the year, slipped and failed to bring out many Spectrum games, something which they have definitely put right with the incredible Manic Miner. Imagine have maintained their lead, and proved to be among the most original games’ producers. Design and packaging delays turned Zzoom into the most awaited game of the year. We’ve seen Spectrum Games turn into Ocean and Quest into Fantasy. J K Greye makes a comeback from the long distant past and Kayde vanished without trace despite all the colour ads. Rabbit and Anirog have seen potential in the Spectrum and turned out half a dozen games in the past two months; Romik’s ‘honesty’s the best policy’ seems to have kept them well ahead too, and Psion/Sinclair are in a strong position. We saw the biggest ever launch hype with Virgin Games who limped onto the market in the summer with some of the worst games ever; and 3D has been the most misused word in the business although Artic’s 3D Combat Zone was wonderful and watch out for Quicksilva’s Ant Attack. At this year’s PCW show it was gratifying to see how games software has asserted itself in what has traditionally been a business show and how much of it was for the Spectrum. At the start of the year probably only 15 companies catered for the Spectrum, today there are well over 80. Whichever of them does well next year, we can be pretty sure that Spectrum owners are going to benefit by having some of the best games software around.